If two figures have the same size and shape, then they are congruent. The term congruent is often used to describe figures like this. In this tutorial, take a look at the term congruent! To find the area of a rectangle, multiply the length times the width! This tutorial will show you how to find the area of a rectangle. Check it out! Trying to find the area of a rectangle? There's a formula that can help! 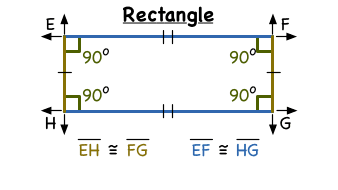 Check out this tutorial to learn about the formula for the area of a rectangle.